Ads have to abide by the Instagram community guidelines, which include no adult content, no promotion of illegal services/activities, no promotion of illegal, recreational, or prescription drugs, and nothing sensationalized or violent. Since the Instagram ad network is run through Facebook, you also have to abide by the Facebook ad guidelines — namely, that Instagram ads can’t have text over more than 20% of the image, and Instagram ads have to be reviewed before they go live (which usually takes about 24 hours). 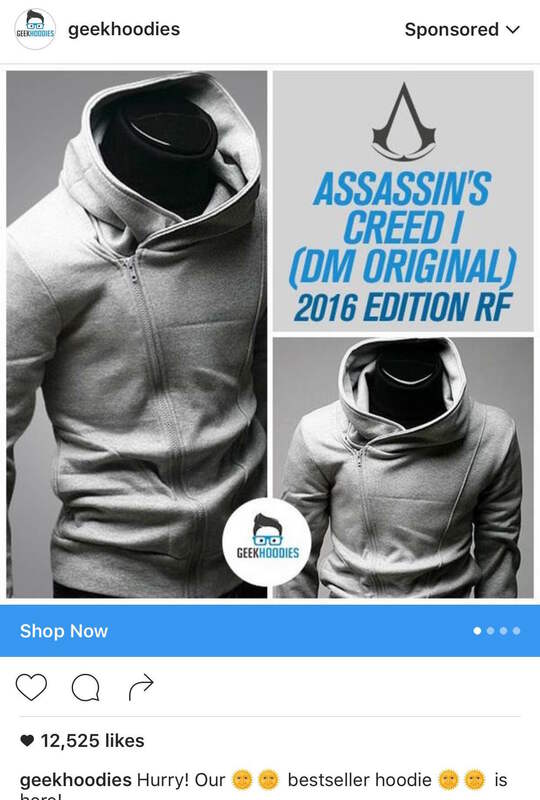 Instagram’s ads are run through the Facebook ad manager, which means that you have a smorgasbord of targeting options available. You can target based on things like website visits or email lists (by uploading data from your email marketing service or your analytics tool), so that you’re reaching people who already interact with you in some way. 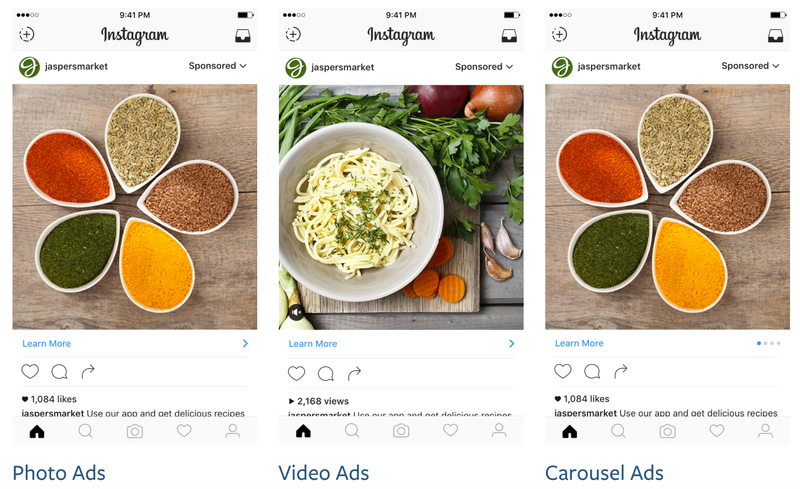 There are three types of ads on Instagram: photo, video, and carousel. They’re fairly self-explanatory — photo ads are photos, videos are short videos that will auto-play as the user scrolls past them, and carousel ads contain multiple photos that users can swipe through. You can use the CTA to link to a specific URL (for example, your YouTube profile). Different CTAs will be best suited for different ads — “install now” works best for apps, “shop now” or “sign up” for products or courses, and “learn more” for advertising something like a free tutorial series, for example. The cost will range wildly depending on what group of people you’re targeting and how big it is. The bigger the group, the more people there are competing for their attention, and the higher the cost will be. Most of the ads are CPC (cost per click) but depending on your ad campaign objective, an ad can be CPM (cost per thousand views). The first thing you’ll need to have is a Facebook page. You probably already have one of these for your blog — if not, go ahead and set one up quickly. 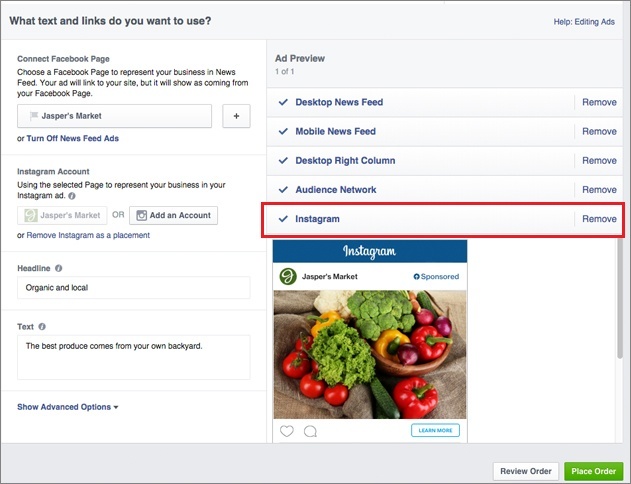 You don’t have to be active on it to use Instagram ads, but since Instagram runs its ads through the Facebook ad manager, you do need to have a Page connection to set them up. Once you’ve set up your page, you can head to Settings, then Instagram Ads to connect your Instagram account. Once you select an objective, you’ll move on to choosing an audience. As previously mentioned, there are a lot of targeting options — and contrary to what your instinct might be, you should make an ad more targeted, not less. By trying to reach a very specific audience, the chances are that you’ll be in somewhat less competition with other advertisers, which means you’ll probably wind up spending a little less. Targeting women aged 18-35? Good luck! 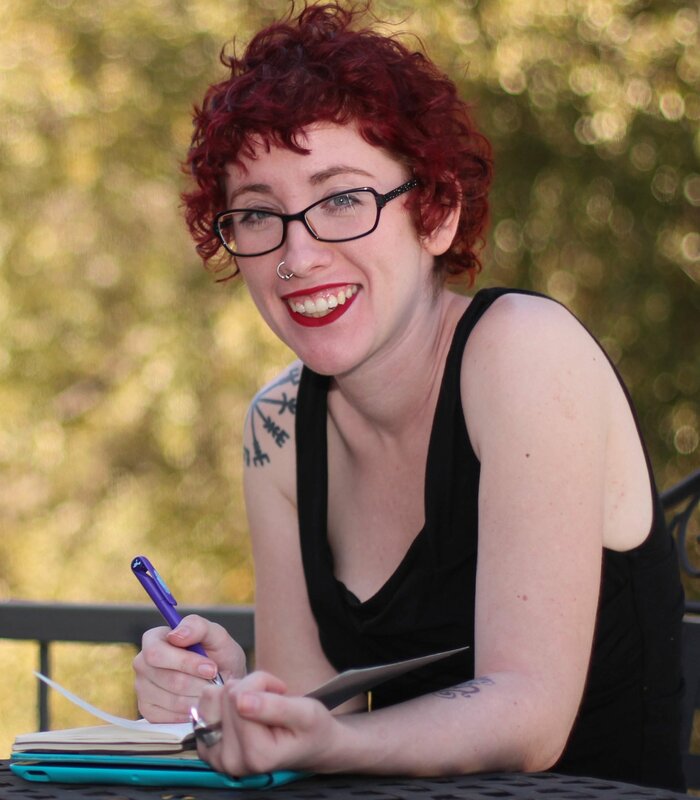 Targeting women aged 18-24, who are obsessed with skincare, yoga, and punk rock, live in English-speaking countries, who like these three magazines on Facebook, and are located near major metro areas? That’s more like it. Scroll down and you’ll be able to set your budget, and choose whether it’s a campaign budget (which means that’s all the money you’ll spend on this campaign and Facebook will stop advertising once you’ve hit that budget) or a daily budget. You can also choose to schedule your ads with a start and end date. For more on the ins and outs of setting a budget, head here. After that, it’s just a matter of reviewing and confirming everything, and submitting your ad for review. That’s the logistics side of things — but what about actually coming up with your ad? Make your ad match your overall brand. Your ad should look good, but if your entire online presence is super laid back, it shouldn’t seem overly stiff/professional/edited. And the colors, filters, and fonts used in your ad should be the same that are used in your other Instagram photos or online branding in general. 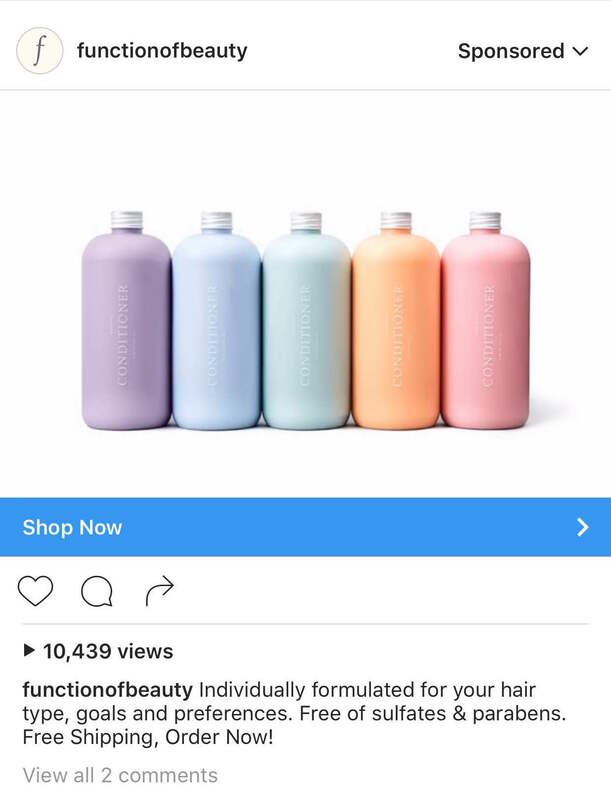 The Function of Beauty Instagram ad matches their online branding flawlessly — heading from the Instagram ad to the website is a seamless experience without any jarring transitions. Have it fit with the flow. Don’t make it super jarring or in your face — people on Instagram want to have a beautiful browsing experience, and if your ad is too “ad-like” people will be annoyed that you shocked them out of their pretty picture skimming. 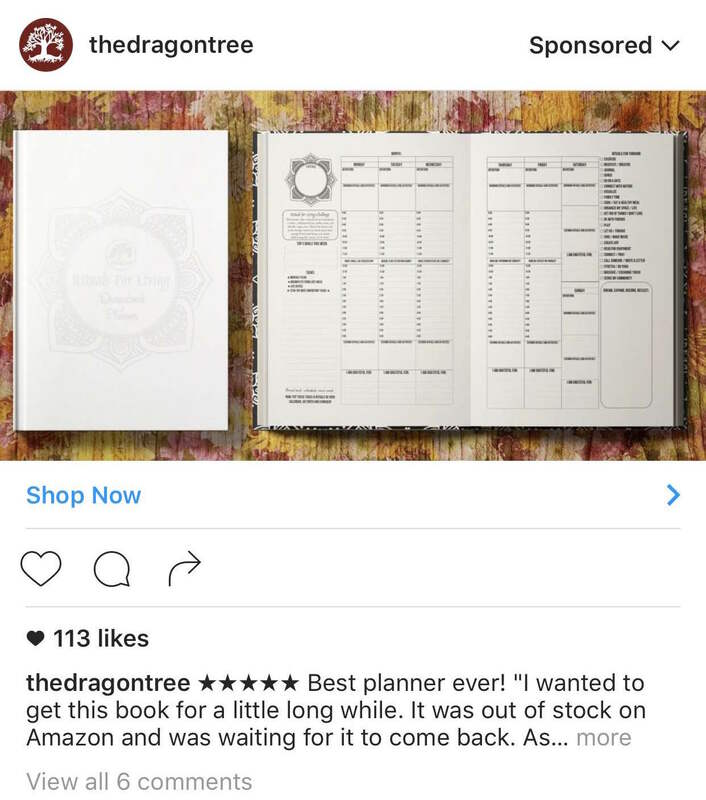 As an example, the Dragontree Dreambook ad above is laid out like your average Instagram post. It wouldn’t look out of place on a lifestyle account with tips about how to plan in the morning. Make it clear what’s going on and what to do next. There’s always more to learn when it comes to online ads and Instagram ads in particular, from advanced targeting to retargeting and more — but this is enough to get up and running. Good luck, and if you want more tips on advertising your lifestyle business, make sure to subscribe to the blog.